On January 17, the day Hauptmann was to be electrocuted, the Governor of New Jersey granted a 30-day reprieve. 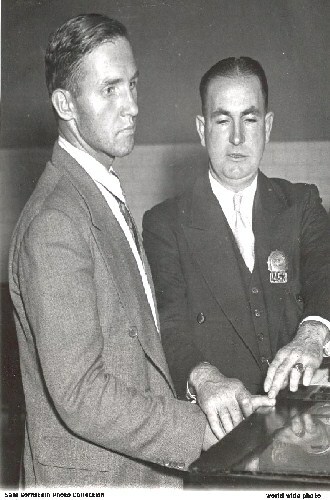 The next month he was resentenced to be electrocuted during the week of March 30, 1936. Hauptmann was denied his wish for a pardon and his execution was scheduled for April 3, 1936. There was an offer, by Wilentz, to spare his life if he gave a confession to the kidnapping-murder of the Lindbergh baby, but he turned down the offer. He said he did not want to live a lie. He continued to claim his innocence to the end. He wrote a final statement of his innocence in "Why Did You Kill Me?" "I am glad that my life in a world which has not understood me has ended. Soon I will be at home with my Lord, so I am dying an innocent man. Should, however, my death serve for the purpose of abolishing capital punishment- such a punishment of abolishign capital punishment- such a punishment being arrived at only by circumstantial evidence- I felt that my death has not been in vain. I am at peace with God. I repeat, I protest my innocence of the crime for which I was convicted. However, I die with no malice or hatred in my heart. The love of Christ has filled my soul and I am happy with Him." 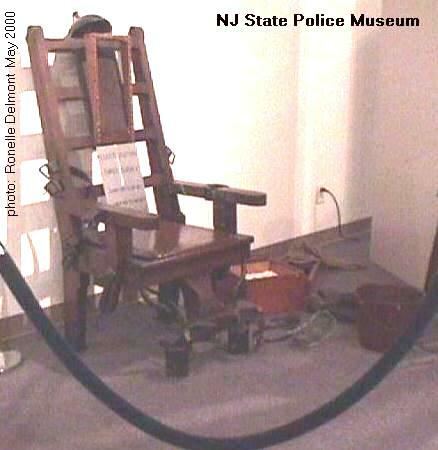 At 8:44 p.m., Bruno Richard Hauptmann sat in Trenton's electric chair and 2,000 volts of electricity shot through him. His mouth opened in "a silent scream." His body snapped. His hands formed clenched fists which pounded the arms of the chair. The current was turned up higher twice, each time slamming him back against the chair. Smoke began to rise from his head and a leg. At 8:47 p.m., doctors on hand for the execution pronounced him dead. Reporter, Sam Blackman, described the execution in an article about the case (Feb 9 1992) for the LA Times. A large crowd stood outside the prison in Trenton anxiously awaiting word of his death and cheering during the execution. The next day, when the hearse carried Hauptmann's corpse away, a massive crowd stood by yelling and cheering. I am positive nobody consciously intended to inflict such punishment on a man in a death cell at Trenton. But fact is that it has been inflicted on him. Hauptmann was convicted on February 13, 1935, of a crime which deserves no pity. Whether he is guilty or innocent I do not know. But the fact is that a month before the date fixed for his execution the first delay was granted. Thirty days later came another delay, and on Tuesday, a few minutes before the time for the execution, a third stay of forty-eight hours was announced to the prisoner. This man, then, has three times awaited death on a date known to him. He has counted days, hours, and minutes. Three times during these fearful days his mind has turned, supposedly for the final time, to the horrible details of the electric chair, to the dreadful scene in that room, to the signal, the final shock and convulsions to follow. The last time his imagination was further stirred by the gruesome preparations in the death chamber, and by the shaving of his head for contact with the electrode. This is not all. This man has a mother and a wife. For them as well these three frightful rehearsals have taken place. Three times the wife has said her last farewell, and on Monday, while leaving the prison, she saw the workmen hastily installing telegraph equipment for newspaper reporters. Nobody can picture such things without feeling pity. 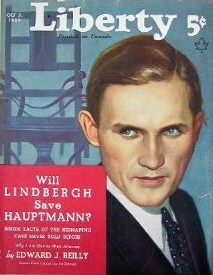 Whether Hauptmann is guilty or not is no longer the question. The death of a guilty man may be necessary for the good of society. But all civilized people ought to admit that a man who, through play of unexpected circumstances, of doubts and scruples, has had the order of his execution countermanded at the last moment, should not then be forced to die.